British professor, doctor, TV presenter and scientist. 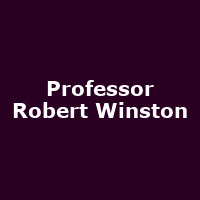 He was the president of the British Association for the Advancement of Science from 2004 to 2005 and is a Fellow of the Academy of Medical Sciences (FMedSci). He presented the BAFTA-winning 1998 series The Human Body.